As seen on Freakshow AMC, The Impenetrable Music Man and comedic fakir, has traveled the world manipulating sharp and dangerous objects. Now available for your event or party. Trained to with stand extreme pain and pressure from beds of nails, piles of broken glass, ladders of machetes and the crushing force of animal traps. 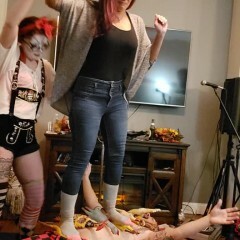 Combining a brilliant comedic performance with amazing, graphic, and often gut-wrenching feats of strength and endurance. Co founder, producer and performer of the world renowned Squidling Bros. 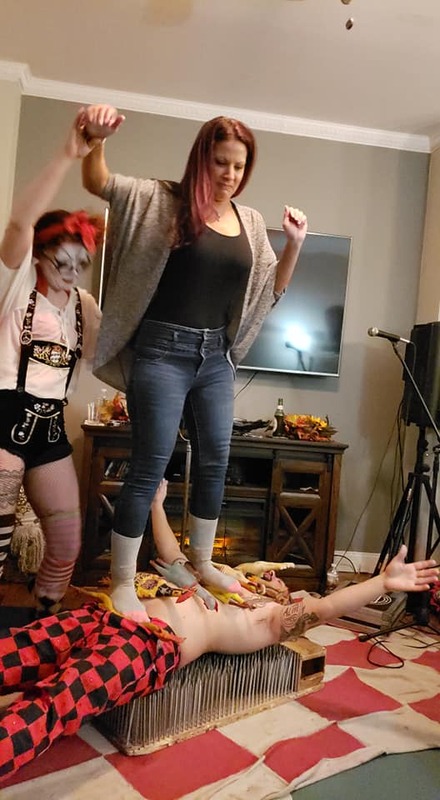 Circus Sideshow, one of the premier modern traveling sideshows, Matterz has participated in hundreds of shows in the U.S., Europe, Scandanavia and Japan. Matterz and MacKenzie were phenomenal. They were friendly, warm and a joy to have over for my birthday party. Their show is dynamic and definitely not for the faint of heart, but soooo worth it. Everyone loved the performance and I cannot wait to see these guys again soon! You will not be disappointed! 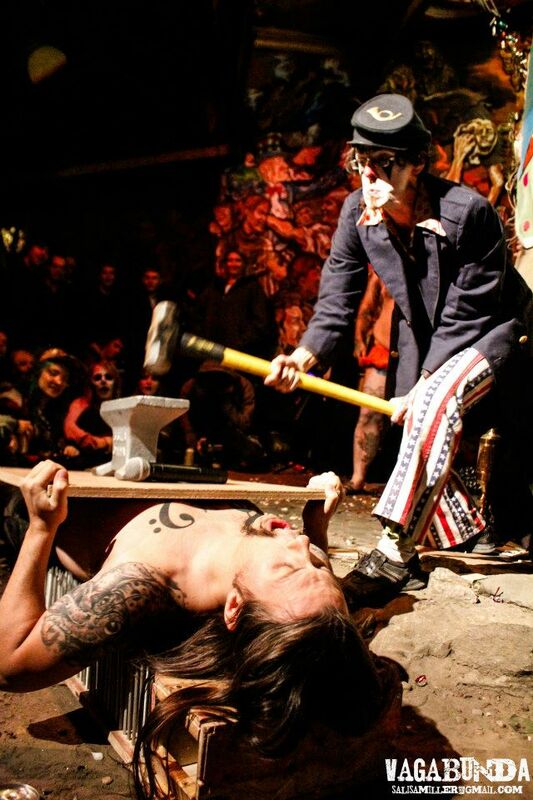 Professional and original sideshow entertainment guaranteed to make you laugh! To make you question the reality of what the human body can withstand. The age old question written the sideshow banners of old "Why?" 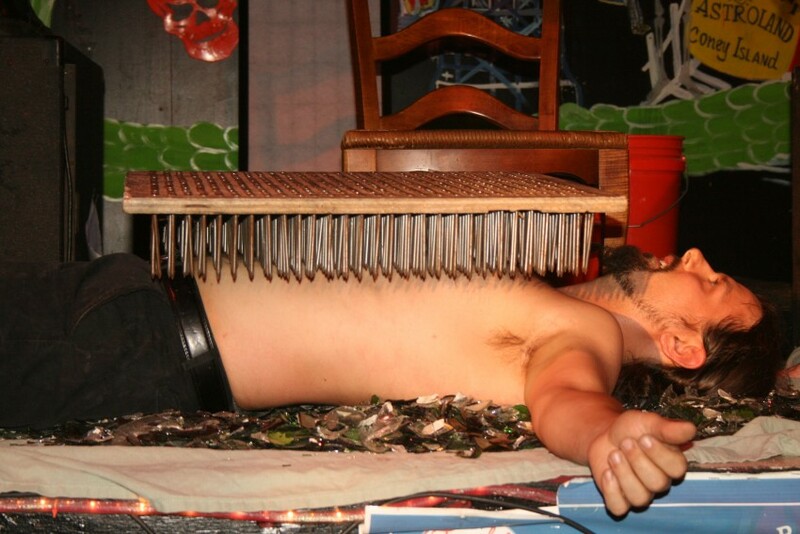 Matterz performs extreme stunts with multiple beds of nails, real live sharp glass, machetes and animal traps. 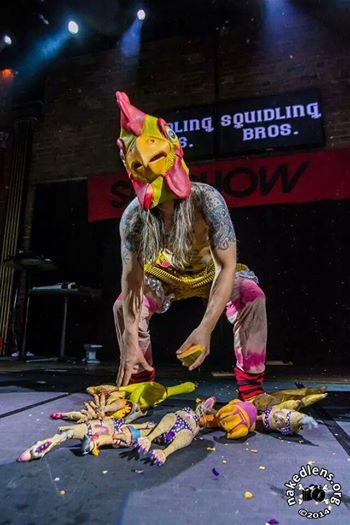 Using these sideshow acts, Matterz combines clowning, slap stick comedy and vaudeville humor to create a unique style of modern stage performance. Matterz has traveled the world with The Squidling bros., an international collective of sideshow freaks and circus performers, producing and participating in hundreds of shows in the U.S. from coast to coast and across the Atlantic in Scandinavia, The UK and the European Union; as well as, performances in Tokyo, Japan. Over the past few years, the Squidling Bros. 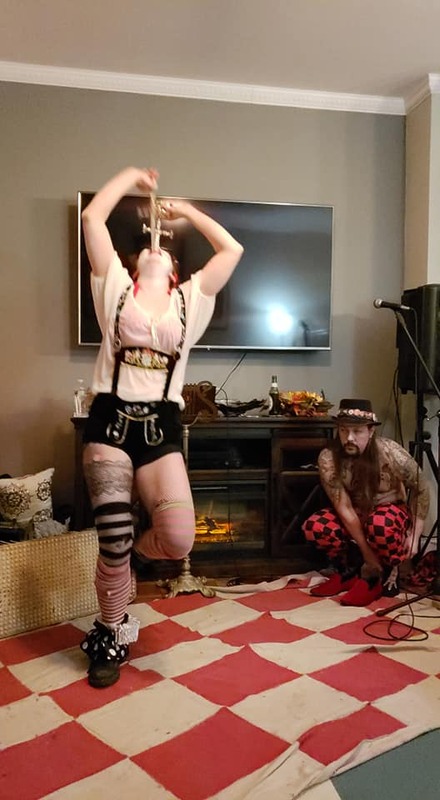 Circus Sideshow have performed with Primus (writers of South Park theme song), Exploited (world famous Punk band), The Swing Shift Sideshow (World renowned sideshow group from Las Vegas), Pain Solution (Norwegian sideshow) and The Enigma the tattooed puzzle pieced man. 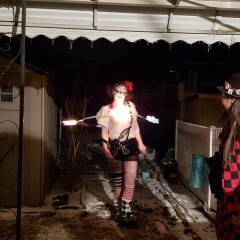 Produced the adult circus show, Carnivolution (craziest show on earth) for 10 years in Philadelphia. They have performed at The Coney Island Rockabilly Festival 2008-10, The Bohemian Carnival with the Vau De Vire Society (Circus form San Francisco) 2010, The World Steam Punk Expo Detroit 2010, Opatijske Barufe Music Festival in Croatia 2011, The Amsterdam Tattoo Museum in 2012, Theatre Bizarre (Largest Halloween party in America) 2009-13, The Lagunitas Beer Circus in Chicago IL 2014 and The Texas Pete's NC Ribfest 2014. Provides music along with live show. Can perform in just about any setting. The Enigma, John "Red" Stuart, Roc Roc It, The Marx Brothers, The Three Stooges, and Laurel and Hardy.